You can now head over to Animation Mentor and download one of their free rigs from their new series The Tribe. Head on over and check it out at the blog. Some great stuff from the students over at AM. It’s nice to see the new family of rigs in there too. Pixar Animation vet, Michal Makarewciz chat with Animation Mentor about Polishing your Hand Animation. I think this a an easy thing to overlook in your polish pass that can add a ton of life and appeal. Just got the AM newsletter and checked out there new line of Rigs to hit the school. These rigs look like a ton of fun and I am diggin the amount of variety. They are also going to be giving one of these fun characters away free to the public this fall! Stayed tuned to Animation Mentor to find out which one. For anyone that is not in school and trying to animate from home using Maya and have always wanted to fast track your learning curve, here’s your chance. Animation Mentor is offering a six week workshop to help you navigate through many aspects of Maya with a focus on animation. Some of the other benefits include a 3yr student version of Maya, a mentor and access to AM’s online community. So head on over and check out if it’s for you. Looks like a fun day if you are in the area June 30th! 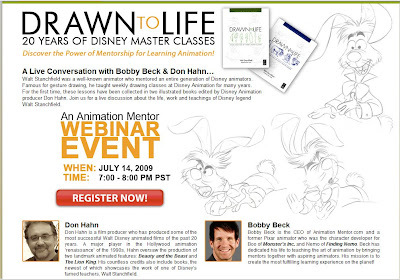 Check out the Animation Mentor site for more details. 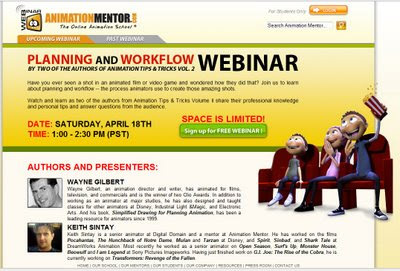 If you haven’t heard by now, go over and check out the Free Animation Mentor Webinar on Timing and Spacing with a couple of great Pixar Animators. Victor Navone and Aaron Hartline are two industry pros that do a great job of explaining their process of timing and spacing. 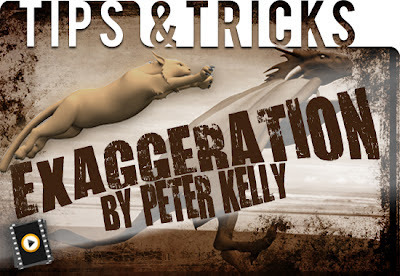 They also lend some good tips and tricks that you can use to make your animation more authentic. 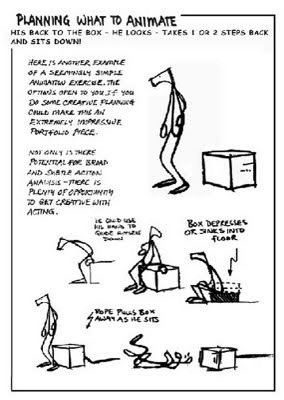 The Animation Mentor Newsletter came today and it had some small tips on body mechanics from Wayne Gilbert. 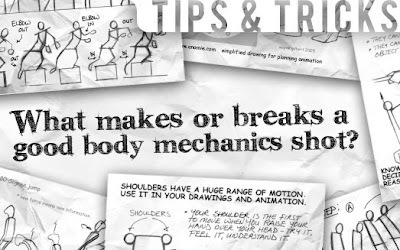 An animator that I feel is one of the best at explaining and breaking down simple planning for working through your body mechanics exercises. Lots of what he says can be found in his book on his site www.anamie.com. You can sign up for the newsletters here. They are always a good resource and great updates on the industry. So check it out. More on body mechanics to follow. An older post with some more on Wayne Gilbert here. 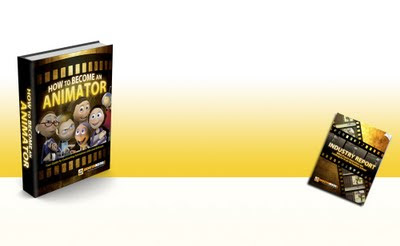 I don’t think That I’ve posted on this yet…but Animation Mentor puts out FREE EBooks every now and again. This one is on “How to become an Animator.” It also follows with some bonus material Industry Report. They have put together a few in the past as well and are all available for download at animationmentor.com. Or you could just click here and go to their Resources Page, it has lots of good stuff for free.